Homegrown | Miami-bred and Legit 305 Only! MIAMI-BRED AND LEGIT 305 ONLY! Miami’s first-ever festival featuring all local eats, craft brews, music and art; and promoting the support local movement in the 305. If it doesn’t have ties to the 305 you won’t find it here. Expect a family-friendly environment with live art, live music, DJs, culinary demonstrations and “the best homegrown miami bite” competition, along with plenty of local craft breweries sampling their top local brews. Throw in some local celebrity chefs, local vendors promoting all things 305–and you got one heck of a par-tée. As a family-friendly bonus, kids under the age of 12 are free. 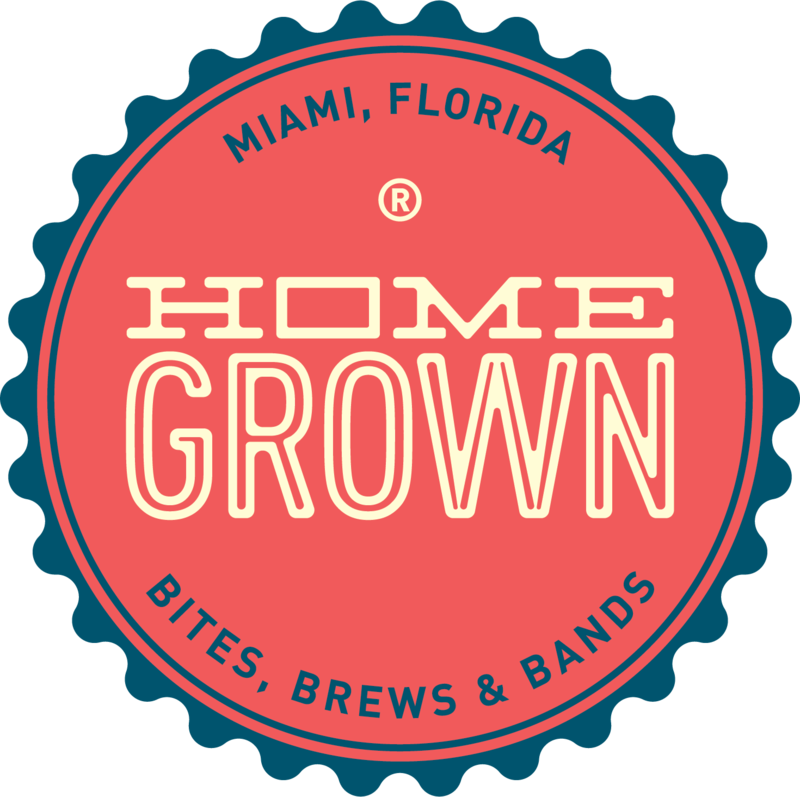 For more information email info@homegrownmiami.com or call 305 505-1616. $25 Ticket includes craft brew sampling and all day access to music, art, and culture. $55 Ticket includes preferred access/seating, craft brew & craft spirits sampling, plus all day access to music, art, and culture. $15 Ticket with Student ID available only at Box Office. Kids Under 12 are free includes all day access to music, art and culture. if you want to actively engage your brand with this uniquely diverse group and be a part of re-identifying Miami through locally-conscious events and content, then this is the event for you. align your brand with all things uniquely 305 and join the #supportlocal movement. whether its food, music, art, culture or fashion, those of us who grew up in the MIA know when its truly from miami, there is nothing like it in the world. we like it that way. and we are unapologetically “so miami. join the movement. To be considered as a Vendor for our next event, please provide as much information as you can. Photos and content links are especially helpful. Please note that by submitting this Vendor Application, you are not automatically registered for the Event. Someone from our Event Management Team will reach out to you within 48 hours.